Two photo contests with over 60 entries! 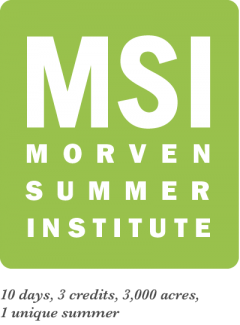 I’d personally like to thank Maria Rincon, Paul Freedman, Manuel Lerdau, Garrick Louis, Whitney Farmer, Rebecca Deeds, Neal Halvorson-Taylor, Emily Salle, Tom Jackson and Rachel Miller for all of their help putting on this year’s MSI! You are all such hardworking and inspiring people.